If you’re thinking about taking a trip to Sweden, June is by far one of the best times to visit due to the Midsummer festival. This Swedish tradition, which centers around the summer solstice, is a magical celebration everyone should experience at least once in their lifetime. 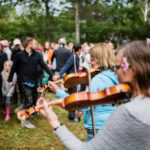 When it comes to important holidays in Sweden, Midsummer is second only to Christmas, and for many Swedes, it is their favorite time of the year. In short, Midsummer is a time to welcome the warmer days and escape to the countryside with friends and family to eat, drink, dance, play games, and, for many, take part in a bit of romance. 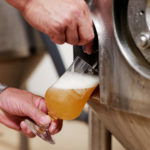 The celebration begins on Midsummer Eve, which is always a Friday in late June (this year, Midsummer Eve falls on June 21). To celebrate the longest day of the year, many Swedes make their way to the mountains, the coast, or the countryside. In fact, if you were to find yourself in downtown Stockholm on Midsummer Eve, it’s likely the streets would be mostly deserted. 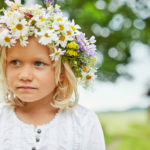 Men, women, and children alike begin the Midsummer celebration by picking flowers to make a krans – crowns or headbands of summer flowers entwined with birch branches. 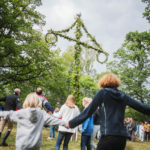 They also create wreaths of flowers and greenery to place on the Maypole, or in Swedish, Midsommarstång, which is at the center of the traditional celebrations. Young and unmarried women also take part in another flower tradition during Midsummer. On their way home, they pick seven different flowers to place under their pillow before they go to bed. Legend has it that while they sleep, the love of their life will appear to them in a dream. A Midsummer afternoon calls for dancing around the Maypole. A Swedish Maypole is a pole about 20 feet tall with two large loops at the top. Many say it originated as a symbol of fertility, while others believe it represents a link between the underworld, earth, and the heavens. It is decorated with greenery and flowers and placed in a prominent spot in the town square or open field where the Midsummer celebration is being held. Everyone gathers around the Maypole to perform traditional dances. Perhaps the most famous of these is the frog dance, which involves hopping around the pole while singing the classic tune Små grodorna (the small frogs). Every Swede, whether they are five or 95, knows the dance and does it each year. 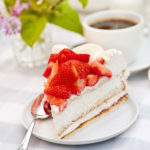 Devouring delicious Swedish food is an important component of any Midsummer celebration. Traditional Swedish dishes you’ll find on a Midsummer table include herring in all forms (pickled, smoked, and fermented) served with chives and crème fraîche or sour cream, boiled new potatoes with fresh dill, cured salmon, rustic breads, potato dumplings, meatballs, and a dessert involving strawberries. Honestly, the amazing food in Sweden is reason enough to visit! During Midsummer, no one drinks their snaps without partaking in some good ol’ fashioned drinking songs. They’re all songs that Swedes know and love, and as the night goes on, they tend to get louder and more rambunctious. Being outdoors is key for all the Swedish Midsummer celebrations; only a sudden downpour will cause the party to move inside. And the party always goes very late, typically until the sun comes up – and then the festivities simply start all over again! It is truly an enchanting experience filled with romance, laughter, and endless fun. If you’re lucky enough to travel to Sweden for Midsummer, it will be a vacation you’ll never forget. 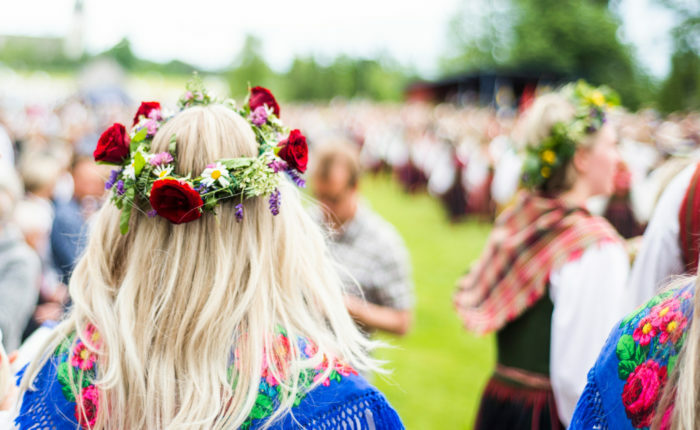 Ready to experience your first Swedish Midsummer? Join Scandinavia Specialist Andrea Berkeland on our Signature Journey to experience the summer solstice in Sweden! In addition to the Midsummer festivities, we’ve incorporated sightseeing and activities in the Kingdom of Crystal, the Swedish countryside, and of course, Sweden’s delightful capital, Stockholm! The hotels we’ve selected in Sweden are all unique, with historical or cultural significance, and you’ll enjoy Swedish culinary traditions throughout the journey. Click here to check out other trips to Sweden designed by our talented Destination Specialists at Borton Overseas.